Texture adds interest and depth to any project, and it gives the eye something to follow. These gorgeous fabrics will create interest and make a bold statement. Simplicity with a twist and a touch of class. 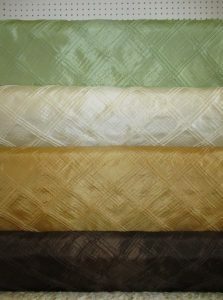 Come see our full line of textured Fabric. Also, stop in our fabric store and see our new collection of outdoor fabrics. 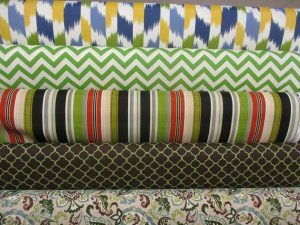 The Vivid colors and great selection will be great for awnings, pillows and cushions. With our huge seelection customers are sure to find the right fabric for their project. Please visit soon as these fabrics sell out fast and are seasonal. So what is in stock now may not be in the future.